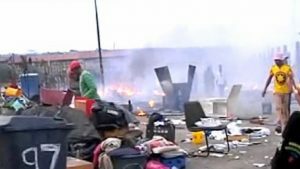 Alex residents moved to safety after fire - SABC News - Breaking news, special reports, world, business, sport coverage of all South African current events. Africa's news leader. An estimated 150 shacks were burnt down. Scores of people displaced by Thursday night’s fire in Alexandra township north of Johannesburg have been taken to places of safety overnight. 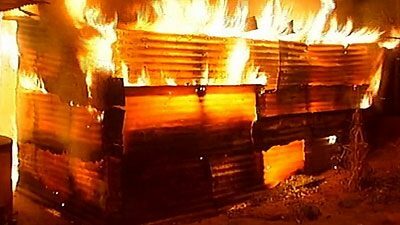 An estimated 150 shacks were burnt down. The fire has now been contained and its cause is being investigated. Humanitarian organisation Gift of the Givers says it has moved a mother who gave birth and another with four children to their Logistics Centre in Bramley. This entry was posted on 07 Dec 2018,06:29AM at 6:29 AM and is filed under South Africa, Homepage Latest Stories Slider. You can follow any responses to this entry through the RSS 2.0 feed. Both comments and pings are currently closed.